How cute is that Barbie quilt! I guess we are never too old to play ;)! Love your hexagon quilt; the colours are so beautiful. 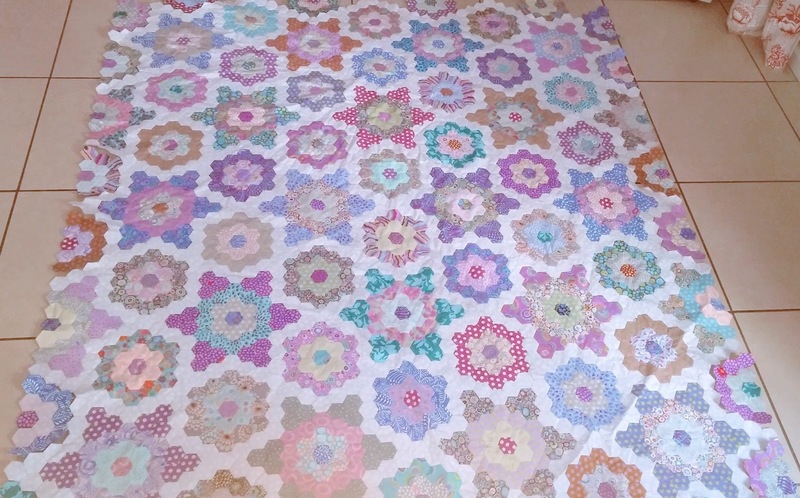 I hope the quilter does it justice! 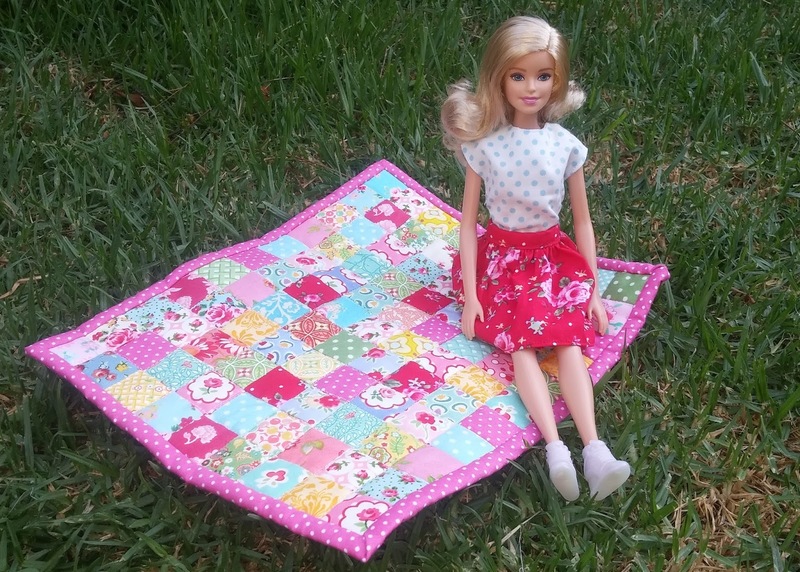 Your Barbie's look so stylish! 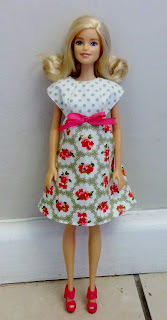 I just made some dolly clothes and it was not a good experience, so I envy your skills with the tiny clothes! 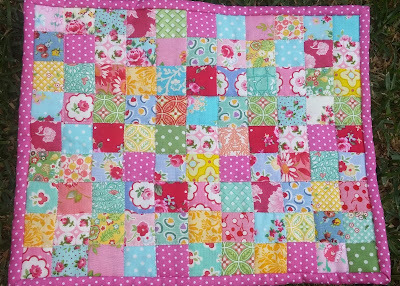 You have lucky Barbies to have such a lovely little quilt. 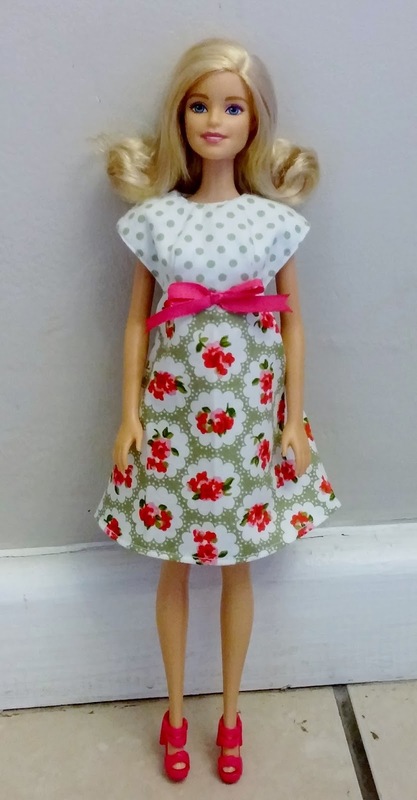 It is fun sewing doll clothes -- so quick & satisfying!